Chantal Thomas, amazingackee.com, made this Black Bean Burger with Pepper Jack Cheese and Smashed Ackee. She pairs it with Green Plantain Chips and Chipotle Ackee Mayo. Get the burger, smashed ackee and mayo recipes @ http://amazingackee.com/ackee-smash-burger. Pumpkin Bun recipe by Jennifer Mullings is featured in issue 2, 2017, JamaicanEats magazine, www.jamaicaneats.com. 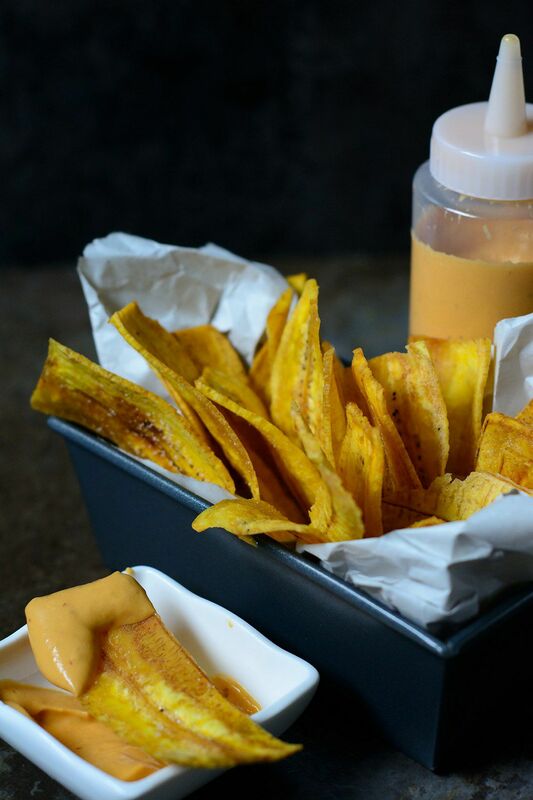 Quick and easy to make, these plantain chips from Chantal Thomas, of amazingackee.com are hands down better than store bought. Fill a heavy bottomed pot with oil to come up about an inch, place over medium high heat. When oil is ready, fry chips in batches if needed, place on a tray/plate lined with paper towel. Sprinkle hot chips with salt and desired spices if using.